Hi. 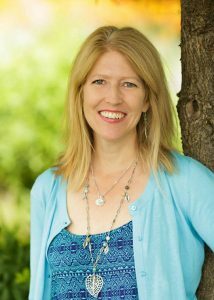 I’m Marilee Feldman, and I’m a licensed clinical professional counselor and the owner of the Life Counseling Institute. I’d love to help you in your journey to find peace within yourself and strength, confidence, and joy in your life. Many of my clients find that they begin to feel more themselves within a few sessions. This may be because I emphasize self-compassion in my therapeutic work. I find that many of my clients are very hard on themselves and begin working immediately to help them find ways to be kinder and gentler toward themselves. In my work as a therapist, I offer support, validation, and encouragement. I believe greatly in empowerment, helping you feel capable of making change. I want you to better understand yourself, your family dynamics, and your relationships and use this knowledge to develop strategies for improvement. And most importantly, I emphasize the good in you, helping you view compassionately the parts of yourself that you are not proud of. It has been shown that the most important aspect in effective therapy is the relationship between the therapist and client. I seem to connect well with my clients and can provide you an environment in which you can safely explore all aspects of yourself. Welcome, and I look forward to working with you. Marilee is the owner of Life Counseling Institute and a licensed clinical professional counselor and certified addictions counselor. She has particular expertise in working with individuals with postpartum issues, addictions, codependency, anxiety, depression, and obsessive-compulsive disorder (OCD).